Exploring the city of Pittsburgh and understanding its communities and offerings. We began our exploratory stage of the project by diving into different social activities around the city. 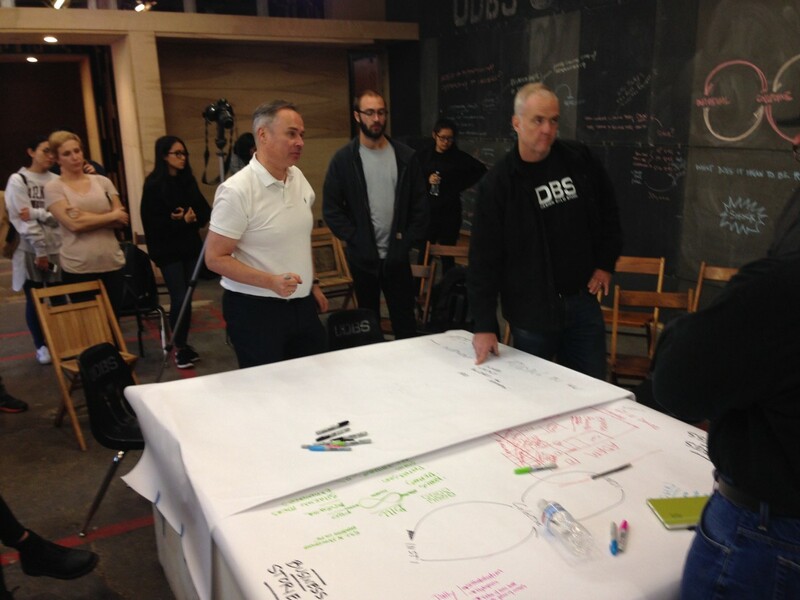 We were lucky to have attended the Hackable City workshop that was organized by ONE Urbanism and the School of Architecture, Carnegie Mellon University. The venue of the event was at Construction Junction — a space so dynamic in its self and a perfect location for the workshop. The Hackable City is centered on “coalitions of individuals and community organizations having an increasingly large role in city-making.”* The workshop gave us great insights on “how citizen-led efforts can organize material, energy, and capital on a district scale, facilitated by new technology.”* The facilitators if the event were Matthijs Bouw and ONE Urbanism. They had also invited eight specialists from the city of Pittsburgh, individuals who were working with the communities in Pittsburgh and were pushing the cities boundaries in order to make it a resilient city. 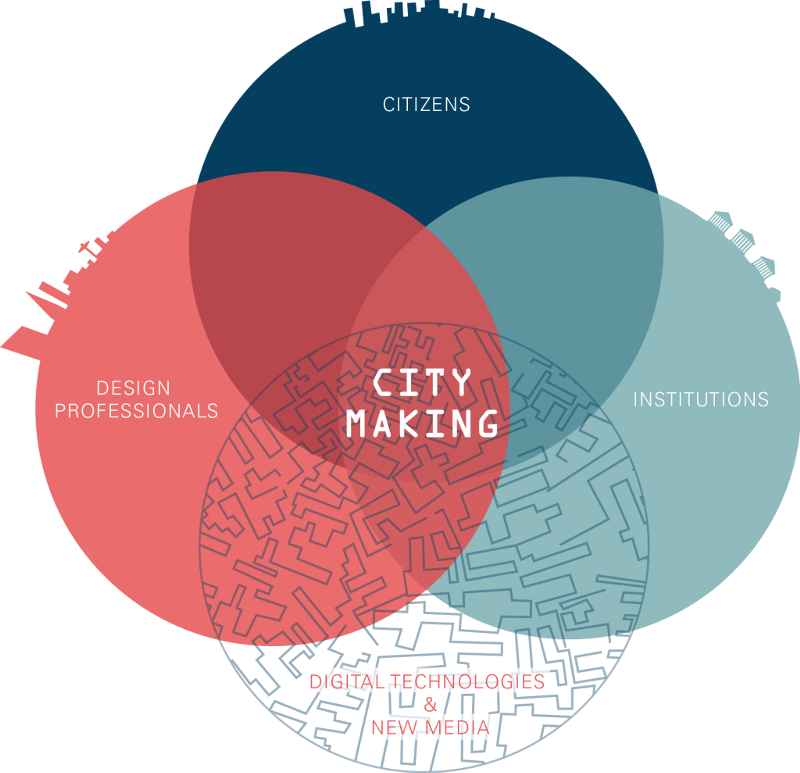 We used a design toolkit presented by Matthijs Bouw and ONE Urbanism, and explored the role of local communities, decentralized systems, local capacity, and local capital in the evolution toward a resilient economy. These collective projects are often (though not always) initiated and managed by professionals who have started to broaden their work fields. They are no longer ‘just’ designers but have taken up the role of community organizers, fundraisers, storytellers, project developers*. Can we incorporate community systems that harness the ability of the systems to flourish? What can be part of the skilled economy that can be tapped into to create potential solutions on a scalable model? Can we create a Humanist view of the city that can put the value of wealth inside the person itself? How do we create value for the people themselves and their families, that they can then pool into the community at a large scale? It is important for people to see the models of progress in order to motivate and move forward. How might we as designers, initiate that? 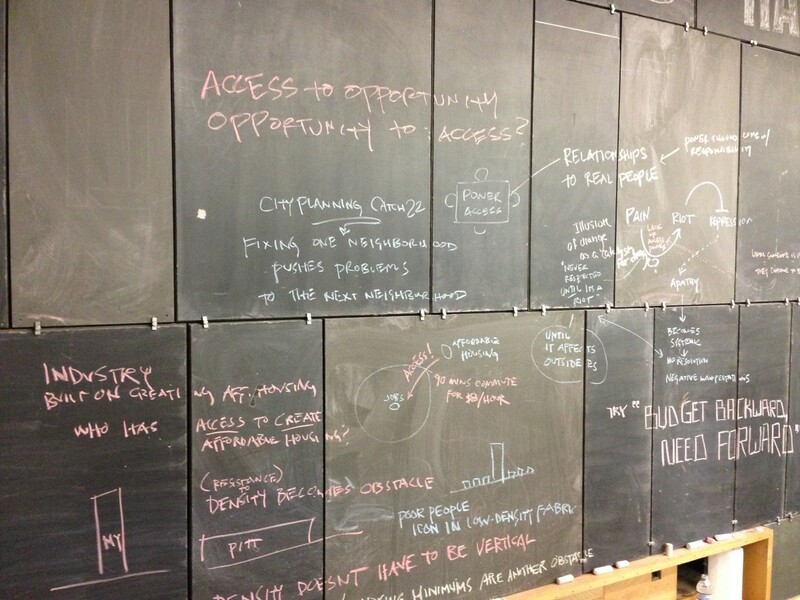 How can we design for “withintrification”? Can the community be motivated to see the values within that system? Throughout the session, the facilitators emphasized that the methods we take to reach out into the community, and design with them, should empower them. We need to create a culture that lets people succeed. We have to work to get the community to see the holistic end-view. At the end of the workshop, we created an actionable “to-do” list to implement affordable housing in the area of Homewood. 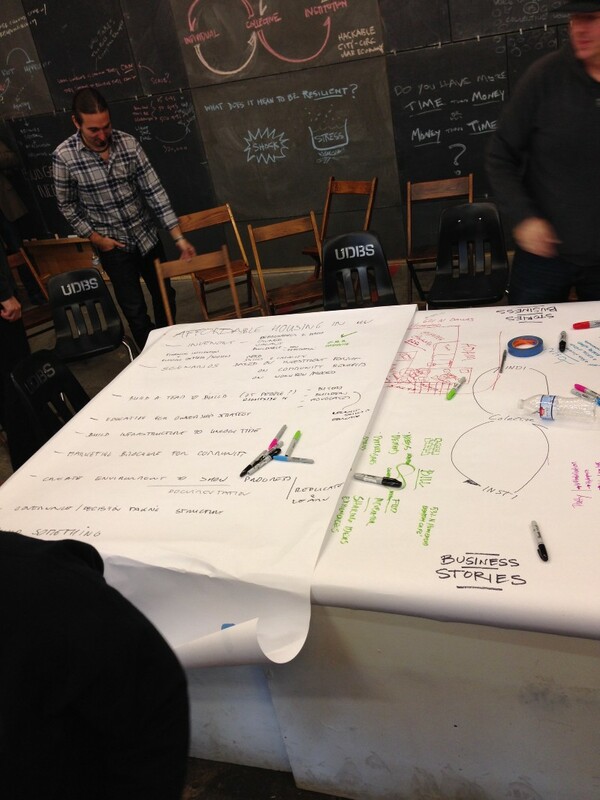 We listed down who the stakeholders were and how might we create resources to motivate change. The workshop was a great experience that helped us understand the hackable city conceptual model and its applications. We spoke to Adam Paulisick, Prof. John Wallace and Majestic Lane, three of the experts who initiated the table conversations at the workshop. Professor John Wallace is an active part of Everyday Cafe, a social enterprise owned and operated by Bible Center Church. It’s Pittsburgh’s first cashless coffeehouse.The cafe invests their earnings into Homewood-based organizations and causes, with a particular focus on entrepreneurship, youth development and education. Majestic Lane is the Director of Community Engagement and Strategy for A+ Schools. He is also a co-founder of Juice Up 412 — a social enterprise that aims to expand health and wellness access to communities that suffer from health disparities — as well as founder of GMTK Changemakers, an organization focused on improving the quality of life in under-resourced communities through education, economics and innovation. ** We are hoping to get a more in-depth interview with him the next week. Adam Poulisick is the organizer of Unstuck PGH, a free weekly workshop by entrepreneurs that takes place every Monday at Repair The World, Pittsburgh. He gave interesting insights on the importance of entrepreneurship in motivating communities to move forward. He also gave us links to CityLab.com, Eve Picker from Small Change and Figment, a free, inclusive, participatory arts event held in multiple cities. We are going to explore these avenues in the coming week, to see if they can help us identify a challenge. India | USA | The Netherlands…A designer broadening her perspective on critical thinking and how to do good by design.